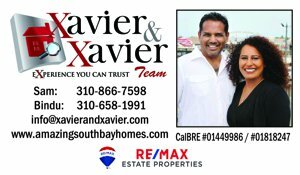 Press Release: April 14, 2019, Redondo Beach, CA Sam and Bindu Xavier are so confident that if you hire us to Sell Your Home or Investment property Today with the Xavier and Xavier Team – RE/MAX Estate Properties that we offer a WRITTEN guarantee. Say what? Yup, that’s right. We offer a written guarantee in a world where there is typically so little certainty. It’s simple. We will sell your home at a price range and time frame we both agree on or we’ll deduct $5000.00* from our listing side sales commission at closing! What would be any easier than that? 1. Communication Guarantee: You will be kept posted on the progress of the sale of your home with an update every week. Your phone calls will be returned by a qualified Team Member within 24 hours. GUARANTEE: If we fail to update you weekly or fail to return your call within 24 hours, we will give you a $500 cash reward. 2. Honest Promises Guarantee: Guarantee #1 is a good example. We are not going to wildly promise you the moon and stars to get your business. We will tell you what we can and will do, exactly how we operate, as well as what we will not do in up front clear language. When we list your home, we will give you a detailed Professional Service Agreement in writing. GUARANTEE: If at any time, we fail to honor that agreement, we will give you a $500 cash reward. 4. Reality Based Timetable: We implement a complete marketing program to sell your home. You know if advance what will occur step-by-step and will receive weekly marketing updates. We set a “target range” for the timing of the successful sale of your home. In many cases, we will sell your home much faster than your typical agent! Home prices have continually rose over the last 7 years and this is how the majority of South Bay Homeowners built their wealth by buying South Bay Real Estate at the bottom of the market! One thing to consider when it comes to South Bay Real Estate appreciation affecting your return on investment (ROI) is the fact that appreciation combined with leverage offers huge returns! If you buy a property for $50,000. and it appreciates to $550,000, your property has made you a 10% return However, you likely did not pay all cash for your property and instead you effectively used 90% of the bank's money... If you consider that your 10% down payment ($50,000.) actually has doubled your original investment, which is effectively a 100% return on your investment. With mortgage interest rates still under 4.6% and down payments available under 15%, South Bay Real Estate is one of the easiest assets to leverage. The South Bay has higher demand than other parts of Los Angeles and people want to live here and raise their children at award winning public schools districts such as Redondo Beach, Palos Verdes and Torrance Unified School Districts to name a few. With each and every monthly mortgage payment you are actually paying down your loan balance and building equity instantly! You can also borrow against your home's equity and use that to leverage buying another South Bay Investment Property! Forced equity is a term used to refer to the wealth that is created when an investor does work to a property to make it worth more…” There are many inexpensive ways to increase the value of your South Bay property by adding square footage, adding new appliances and remodeling your home. These are 4 extremely lucrative reasons to Buy and Invest in South Bay Area Real Estate! Looking to upgrade into a larger home or purchase an income property? Let Our Amazing South Bay Real Estate Experts Sam and Bindu Xavier Give You a Hand. Visit: www.amazingsouthbayhomes.com Today! There’s an abundance of places to play in the Redondo Beach real estate region. Parks are scattered about town providing playgrounds, athletic fields, recreation centers, walking paths and much, much more. A devoted city team keeps facilities in tip top shape while advocating for this close-knit community. Anderson Park consists of just over a dozen acres. Children love to come here and spend time jumping and climbing on the playground. Tennis and basketball courts are usually filled with competitive spirits. Seniors living in Redondo Beach take advantage of a wealth of amenities in the Anderson Senior Center. The center is utilized for social gatherings, wellness checks, art, hobbies and fitness classes. Get back to nature in Hopkins Wilderness Park. Local wildlife thrives within the forest, streams, pond and meadow interwoven together on this piece of Redondo Beach real estate. The Elm campsite is for day use and friends often share picnic lunches and happy moments. Overnight campgrounds are in the park too. Plenty of residents pitch tents and roast marshmallows over the campfire while telling stories into the night. The Get Smart Water Garden is a favorite place to linger. Flora and fauna planted here are water wise and drought tolerant. Native species intermix with other flowers and plants which attract butterflies and hummingbirds. Learn more about how to recreate this beauty in your own backyard garden here. Energy is high in Dominguez Park. Home runs are hit and strike threes called on two little league fields. Kids get crazy with laughter on the playgrounds. Families bring their pups to the dog park where separate sections await big and little breeds. Tails are wagging throughout the the three acre dog run. Dominguez Park holds a bit of history too. Historic buildings have been relocated to the land to preserve their treasures. The City Historical Museum is found in the Queen Anne Building providing a glimpse back into the past. Many additional parks are found throughout the Redondo Beach real estate region. Learn more about their specifics, and spend some time in them today. Torrance real estate sets sights high. At the Western Museum of Flight, history is alive and the future eagerly sought after. Expertly displayed classic airplanes create inspiration among visitors. Historical exhibits brilliantly tell stories of the past. Special events and classes teach all about the timeline of aviation and what’s coming up in the field. Patrons take their time exploring the grounds. Aircrafts on exhibit feature several of Northrup’s successes including the Northrop YF-17 Cobra and F-5A Freedom Fighter. This Torrance property also contains one of only three Northrop JB-1 Bats remaining internationally. Dubbed a World War II “Buzz Bomb” the amazing plane is truly an irreplaceable piece of history. Target drones and miscellaneous jets also earn positive responses. An impressive aircraft model collection rounds out the exhibit comprising of over 300 pieces including wind tunnel and plastic scale models. 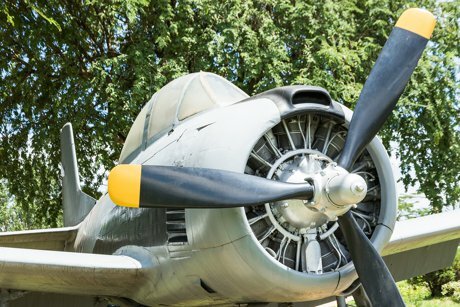 The future of science and aviation technology depends on the children of tomorrow, and the Western Museum of Flight is determined to fuel a love for avionics in today’s youth. Programs include the impressive KLAS (Kids Love Aviation Science). Held onsite, the program focuses on a mission “to expose the next generation to the educational and inspirational dynamics of flight.” The curriculum was developed to lead Southern California children towards fields in aviation and science. Classes feature STEM principles as well as hands on activities. Students living in the Torrance real estate region get an inside view to actual aircraft materials, cockpit controls, maps and more. Convenienlty located in the Torrance Airport at 3315 Airport Drive, Red Baron #5, the museum is close to residents living in the greater Los Angeles area and beyond. General admission is only $5.00 making trips affordable for most budgets. Children under 12 are admitted for free. The Western Flight Museum is open Tuesday to Sunday from 10 a.m. to 3 p.m. Stop in for a visit and let the spirit of adventure take hold. When you get serious about selling your home, the chances of your selling it quickly for top dollar will improve considerably if you list it with a real estate sales professional. If you doubt this, consider the fact that nine out of ten homes sold today–more in some markets–are listed with a professional real estate agent. Listing your home places it on the local Multiple Listing Service that is subscribed to by a majority of real estate sales professionals. Through the MLS listing, your home is assured of getting the widest possible exposure to the market place. Some buyers shop the home market on their own, but most save time and money by using the services of a real estate sales professional. Ask yourself which homes the real estate agent is going to show the prospective buyers homes listed on the MLS or those that are not? If you still want to try to sell your own home, be aware that you will face stiff competition when it comes to attracting qualified buyers as your home will not be listed for sale and shown on the Local CRMLS. Contact Xavier and Xavier Team Today at 310-866-7598 to Schedule a Listing Conversation! 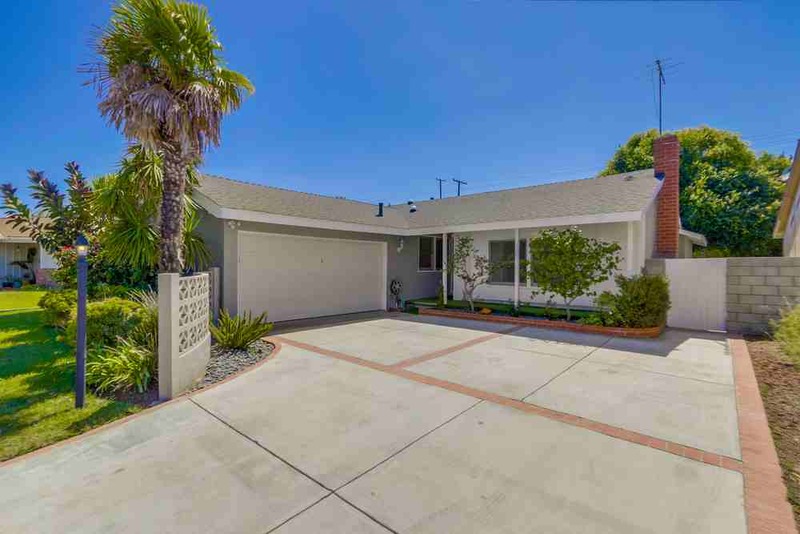 West Torrance real estate is coveted because of its renowned public school district, coastal breezes, manicured homes, shopping epicenters and close location to the beach communities of Redondo Beach and Hermosa Beach in the Greater South Bay Area of Los Angeles. If you are thinking about buying a home in West Torrance, there is an abundance of recreational and cultural opportunities that await. With so many attractions in the South Bay area, many tourists miss the hidden gem of Torrance and Redondo (RAT) Beach, 1.5 sandy miles offering some of the most scenic escapes of South Bay real estate. West Torrance real estate is also renowned for its public parks, totaling no less than 40. Perhaps most notably is the 44-acre Wilson Park, where you can experience a bit everything from a gymnasium, a treehouse, barbeque pits, walking course, fish pond, a roller hockey rink, batting cages, a bustling farmers market, softball fields and even a miniature train ride for the kids. One of the biggest considerations when buying South Bay real estate is the quality of schools, and West Torrance schools get an A+ grade. 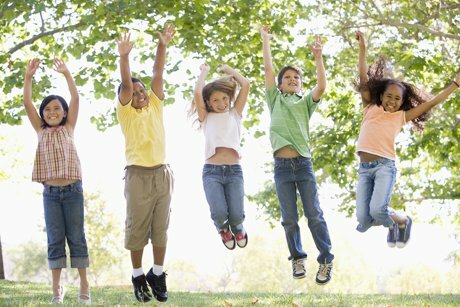 If you purchase a house in West Torrance, your children will be enrolled in one of the top rated schools in California. It has an impressive history of students moving onto graduate degrees. Sam and Bindu Xavier are Full Time Husband and Wife Team with REMAX Estate Properties land we look forward to guiding you on your journey of finding your next West Torrance home! Call or Text 310-866-7598 Today!